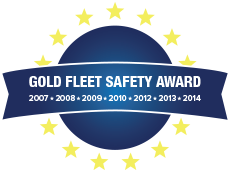 Awarded the “Outstanding Achievement in Highway Traffic Safety” for seven years. Just a man, his truck, and a passion for serving customers! Franey is Your Premier Bulk Transporter of Refined Petroleum Products. Contact Tom Franey Trucking here or by phone at (217) 356-6800 to request a load today. Our quality customer service experience is based on hiring friendly, experienced, safety conscious professional drivers. We are qualified to perform the V-K-I-P tests and the IL Vapor Tightness Method 27 test on MC306 and DOT406 specification cargo tanks. of the lowest out-of-service driver and vehicle scores in the industry. Welcome to Tom Franey Trucking, Inc.
Tom Franey Trucking, Inc. is a family owned trucking company based in Champaign, Illinois and specializes in quality, safe, on-time transportation of refined petroleum products, compressed gasses and agricultural equipment.